A descendant of an Indian servant who inspired the new Stephen Frears movie with Judi Dench ‘Victoria and Abdul’ has told how his great-uncle introduced the monarch to curry and the Koran. 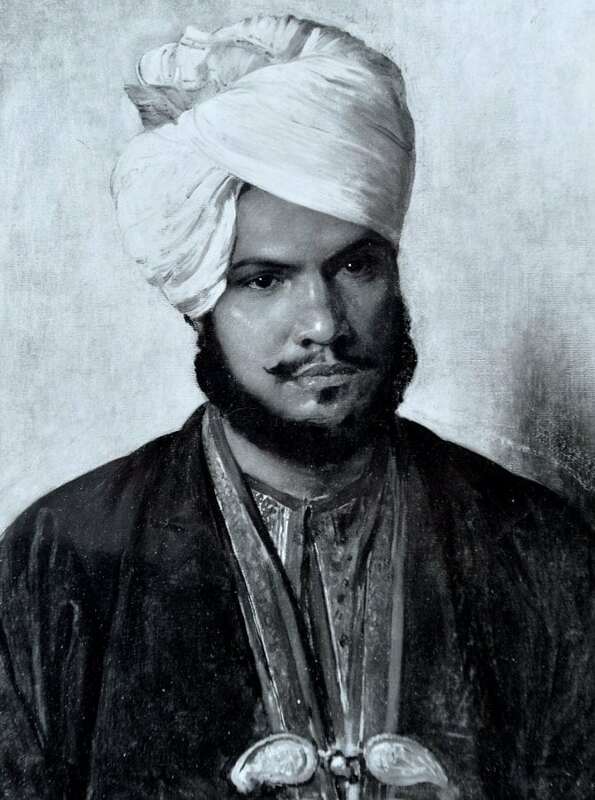 Abdul Karim was an Indian Muslim who was handpicked to help Queen Victoria learn about her Asian territories in the late 19th century. He served her for 15 years and their extraordinary friendship is the subject of a new film, ‘Victoria and Abdul’, starring Dame Judi Dench as the lonely queen. 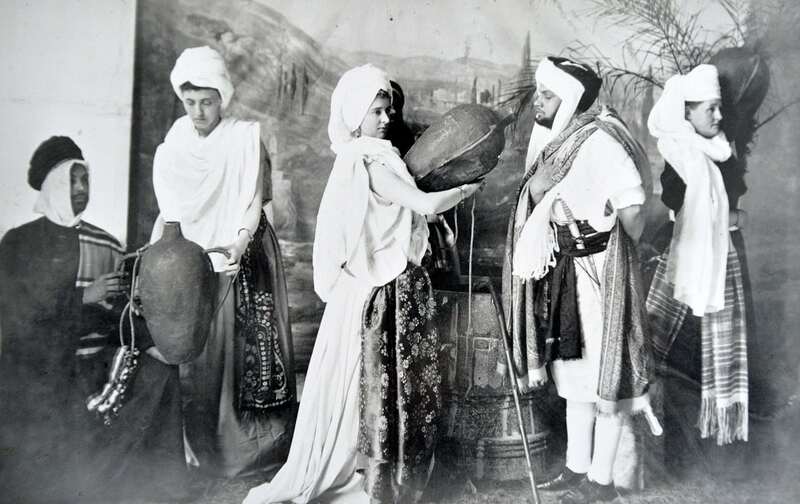 The British-American film portrays Victoria first meeting 24-year-old Abdul in 1887, when he presents her with a commemorative coin at a golden jubilee banquet when she is aged 60. Despite their 36-year age gap the movie shows her becoming increasingly besotted with the English-speaking Indian, who has been sent over as her “gift”. Hundreds of letters sent to Abdul by Victoria, many signed ‘Your dearest friend’ were destroyed after her death in 1901. 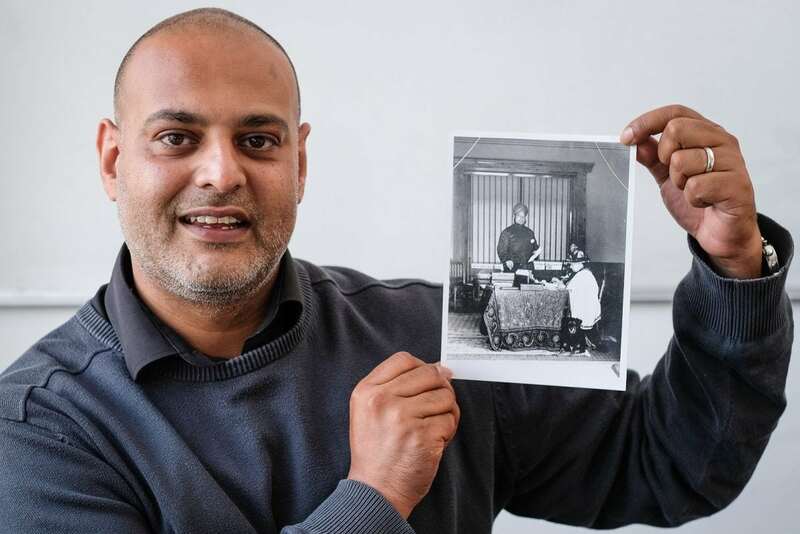 His great-nephew Nabeel Syed, 36, inherited a remarkable collection of black-and-white photographs of Abdul and Queen Victoria after researching his family tree. The financial advisor, from Leicester, said: “I only really learned much about Abdul Karim in the past two or three years. “I’m honoured to have that connection because Queen Victoria left such a legacy and is one of our most famous monarchs. “He helped the Queen understand Indian culture, he taught her Urdu and introduced her to Indian curry and fruit and other foods. “Despite their age gap, their relationship was very close and it is suggested they may have been a romantic connection but we don’t know for sure. “He was teaching her about the culture and educated her in respect of the Koran and things like that, as well. “He was a teacher, he obviously went there as a servant to start off with but they got very close and Queen Victoria trusted him. “He taught her more about the Indian culture, the etiquettes behind everything, started teaching her about the language Urdu, helping her write Urdu. “She actually wrote him a little letter in Urdu and wrote in English underneath. “She gave him a bible. “That was passed to him. I understand he was also teaching the Queen the Koran as well. “At the time not all the establishment were too happy about it, from what I’ve read, but among other things that’s what he was doing and helping the Queen. Nabeel’s parents Sultana and Ijaz Syed, who live in Nottingham, travelled to Windsor Castle several years ago to view the collection of photographs of Abdul with Victoria. Nabeel said: “There are pictures of Queen Victoria and Abdul Karim dressed up in very elaborate clothes and also the Queen signing documents while Abdul Karim stands at her side. Nabeel, who affectionately refers to Abdul as his ‘great-great grandfather’, is going to view the movie, which comes out in UK cinemas on Friday 15 September. He said: “I’m definitely looking forward to watching the film. “When I saw the trailer online I shared it on Facebook and let everyone know that was my great-great-grandad so that got quite a lot of attention, which was nice. “One of my brothers lives in London so I won’t be going with him but my mum and dad, we should be going to watch it. Nabeel’s mum’s great-grandfather Hazif Muhammad Abdul Aziz was Abdul’s brother. 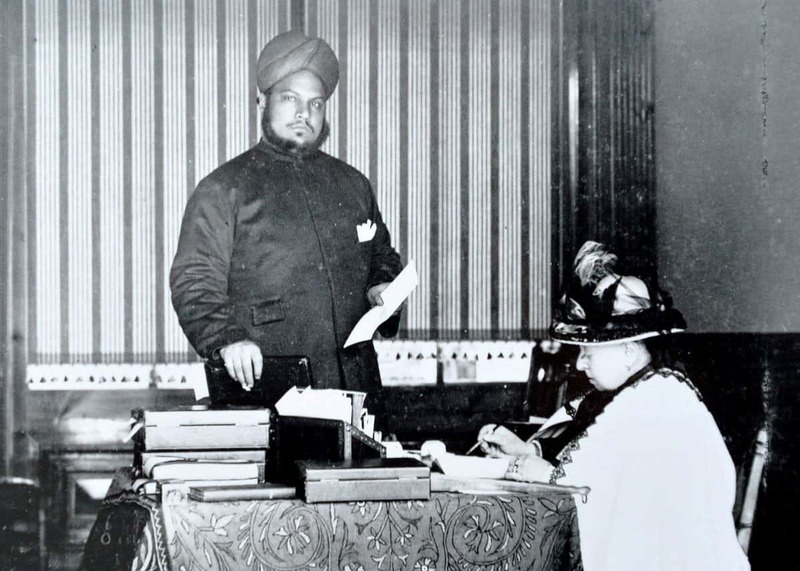 Born in 1863, Abdul was one of two Indians selected to become a servant to the Queen in 1887 – the Queen’s Golden Jubilee year. He was given the title of Munshi, which means clerk and teacher, by the Queen and later appointed Indian Secretary. After Queen Victoria died on January 22, 1901, her successor, Edward VII, ordered that all the letters between Abdul and his mother be destroyed. However, he did allow Abdul to be the last to view Victoria’s body before her casket was closed, and to be part of her funeral procession. Abdul returned to India to live on the land near Agra that the Queen had granted him, but he died childless in 1909, aged just 46. The film also stars Ali Fazal, Olivia Williams, Michael Gambon, Simon Callow and Eddie Izzard, and is directed by Stephen Frears.